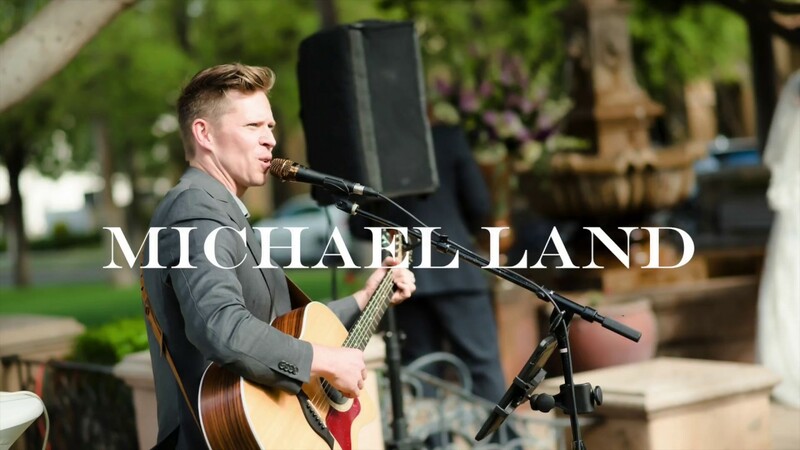 Awarded by Arizona Foothills Magazine as ‘Best Local Musician 2018’, Michael Land has over 15 years of experience performing for weddings, corporate events, private parties and even national tours. From soulful, powerhouse originals to Top 40 covers from a variety of different genres; Michael brings the energy as a solo performer or with a full band. Notable venues in the Arizona area include: The Phoenician, The Biltmore, Omni Scottsdale Resort, Four Seasons, The Scottsdale Princess Resort, Phoenix Convention Center, The Sanctuary at Camelback Mountain, etc. Michael is an all around classy guy with a “suit and tie” kind of style in common with Justin Timberlake and Michael Buble. If I could put bonus stars on this review then I would! Michael did a great job at our event and we heard multiple compliments from attendees at our event about how great he was. I really liked how he mixed between genres, but put his own twist on things by keeping true to his style. He can do anything from top 40 to his originals, which is perfect for an event like ours. He has an awesome voice and I would definitely recommend Michael for any event! Michael has an amazing gift and we are so lucky he agreed to play at our wedding! The entire process was so easy and he made each moment he was there so special! Our family and friends couldn't stop talking about how wonderful he was and Jay and I couldn't have asked for more! Michael's talent is incredible and he has the most fun and kind personality! Fantastic Artist & Very Professional! Michael was the best pick for our grand opening event! Michael showed up on time and was very professional and friendly! He played the perfect amount of current and older music (per our request). We hired him as a solo act which was perfect! I would highly recommend him for any party or event. We would use him in the future for sure! We hired Michael to play at our Lights Fest event last year and he was wonderful! He's easy to work with and we'll definitely be reaching out to him again in the future! We had about a half a dozen guests ask for his information. Made the party! Michael was the entertainment for our son's college graduation party and we couldn't be more pleased. He showed up early for set-up, had background playing during breaks and was very professional. Several guests asked for his contact info. He was a big hit and we will use him again. Michael was so easy to work with. His music was fantastic and suited all our needs. He is professional, prompt and communicated every step of the way. I highly recommend him. My wife Nicole and I hired Michael to perform at our Wedding ceremony, cocktail hour and dinner in Sedona, Arizona at the L'Auberge de Sedona Resort. Michael also supported the dancing portion of our reception; bringing along DJ Teddy to provide music during dancing. Michael was an absolute hit and everyone at our wedding loved the music and raved about how great it was! Michael has a wonderful voice, great stage presence and really added an important extra dimension to our wedding experience. I would highly recommend Michael as a performer! Wow, Wow, and Double-Wow!!! Michael and his band are simply phenomenal! 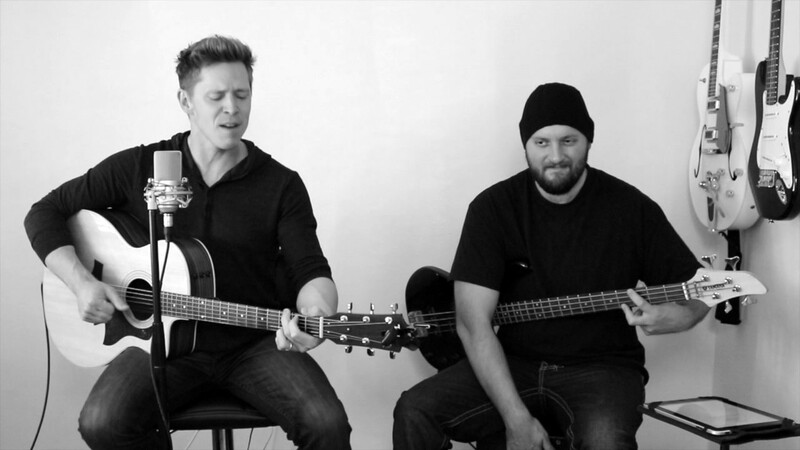 Michael is great to work with and an extremely talented professional and musician! He and his band provided high-energy all night to our conference attendees - everyone loved them! I would have zero hesitation to have Michael and his band be a part of our annual conference in the future. Book him!!! We used Michael for a corporate event and the feedback was he was professional, organized and accommodating. 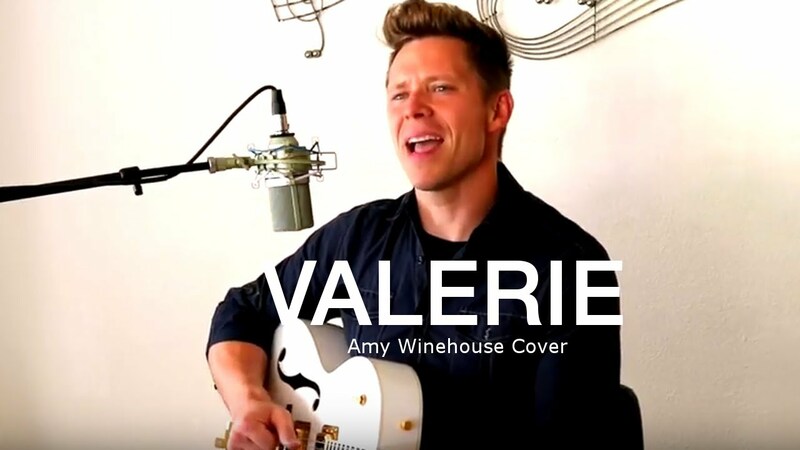 Very talented with an excellent voice. Pleased to hear he was well received! This was a fundraiser for my nephew Matthew. Michael did a wonderful job! Everyone enjoyed themselves. I would definitely would hire him again for any kind of event. Thanks again for a great performance! This guy is beyond talented, down to earth and can read a room! So amazing, and perfect for any event big or small. Would recommend to anyone! Thanks SO much for the amazing review Addison! It was an honor to be able to sing for such a fantastic cause...keep up the great work! Michael was amazing. Everyone at our party truly enjoyed every song he sang. Not to mention his is a very nice guy. Felt like an old family friend came over to entertain us. Highly recommend him and will call him again for our next event. Michael arrived early to set up and was very friendly and professional. My friend has passed away a couple days before our party and he allowed me to say something special for her and sang Brown Eyed Girl in memory of her. That was a special touch...I will cherish that. All the songs he sang were so good. He should be on the radio singing. We felt very blessed to have such a great singer at our party...he really set the tone for the whole night...which was amazing! I had Michael Land perform at my own Curator's Art Exhibition at Herberger Theater. It's not an easy gig because guests are viewing art and milling around and chatting, but Michael knew just the right level of sound and music choices to fit the event. I received so many compliments on Michael's voice and musical versatility. My favorite comment was, "He had me at Otis Redding." I also asked him to assist in part of a performance and song I myself did, and he participated wholeheartedly! Michael Land Band was INCREDIBLE!! He was beyond willing to help and was so enthusiastic about our event. He performed the first two hours and the crowd was more into him than the DJ that followed!! He brought such a warm presence to the event and it seemed like a concert experience! He was always very professional in his emails, and was on time to set up and tear down was a breeze. He just made everything convenient and I never had to worry, which was huge when dealing with an event that large! I would hands down recommend him for any event at any time and would 100% use him again. Thanks for making the night so special Michael! Michael Land has an amazing voice and stage presence and was very well-received by our patrons! We look forward to working with him in the future. As an events manager, I requested Michael in 2013 and again in 2014, to perform at two events staged at the Grand Canyon University Arena in Phoenix. He was the opening and closing performer for a baseball related event where MLB superstars were interviewed. Both events combined, attracted well over 4,000 people. Michael's stage presence is outstanding and his voice exceptional. Whether he performs in small or large venues, Michael's talent and engaging personality are much appreciated. 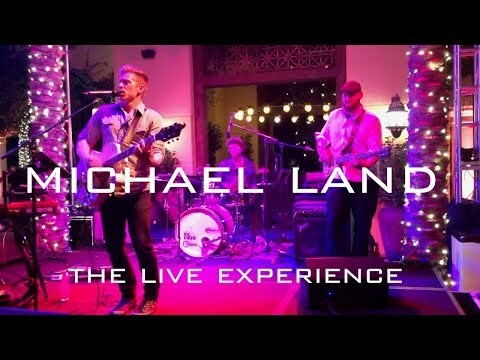 My wife and I hosted a Michael Land concert in our back yard. His unique blend of soul, gospel and powerful vocals captivated our friends and family. Michael bares his soul when he engages an audience with his music and a powerful message of hope, grace and redemption. We hope to have another event just like the last one. I highly recommend booking Michael for your next gathering. 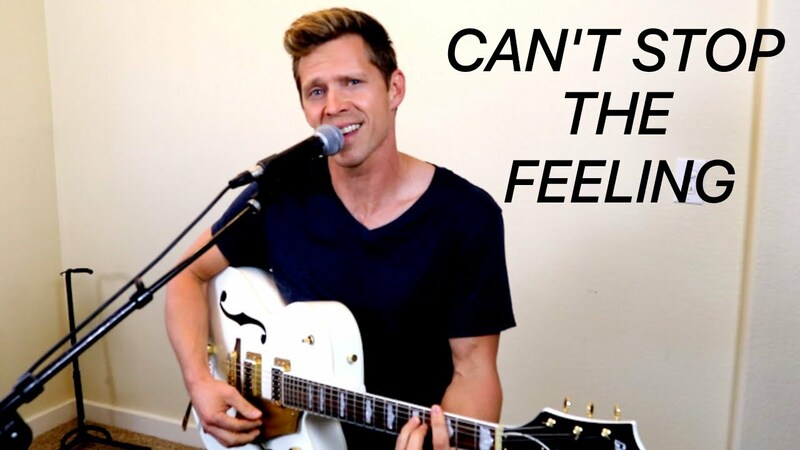 Michael performs Top 40 Pop music and originals as a solo performer or with a full band. Noted by Arizona Foothills Magazine as ‘a true inspiration’, Michael Land has over 15 years of experience performing for weddings, corporate events, private parties and even national tours. From soulful, powerhouse originals to Top 40 covers from a variety of different genres; Michael brings the energy as a solo performer or with a full band. Notable venues in the Phoenix area include: The Biltmore, Omni Scottsdale Resort, Four Seasons, Arizona Cardinals Pre-Game Show at University of Phoenix Stadium, The Scottsdale Princess Resort, Phoenix Convention Center, The Sanctuary at Camelback Mountain, etc. Michael can help make your dream event come true!